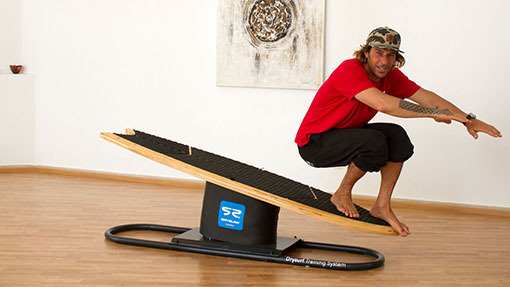 In our certified DrySurf training center on Fuerteventura our coach Cri prepares you for your next surf session – stranded on dry land. Cri is one of our surf coaches and combined with his knowledge from surfing, he adjusts the sessions perfectly to your level of surfing. However, the diversified training is much more than just a surf preparation: it’s a functional training which stimulates all muscle groups and improves communication of the neural system. 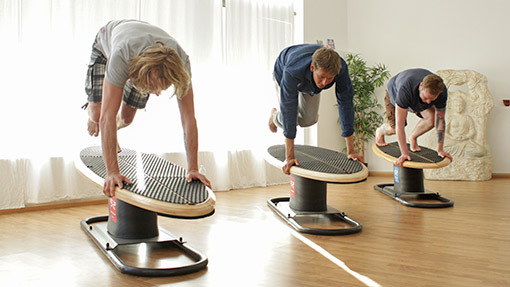 Through the flexible balance board, the sport is also suitable as a therapeutic training because the practice on the board in combination with suspension training and fitness balls exercise all of your muscles. This way the training causes a strengthening of the muscles, a better balance, agility and flexibility. At the same time your proprioception is increased. The result: an improved body sensation and coordination. 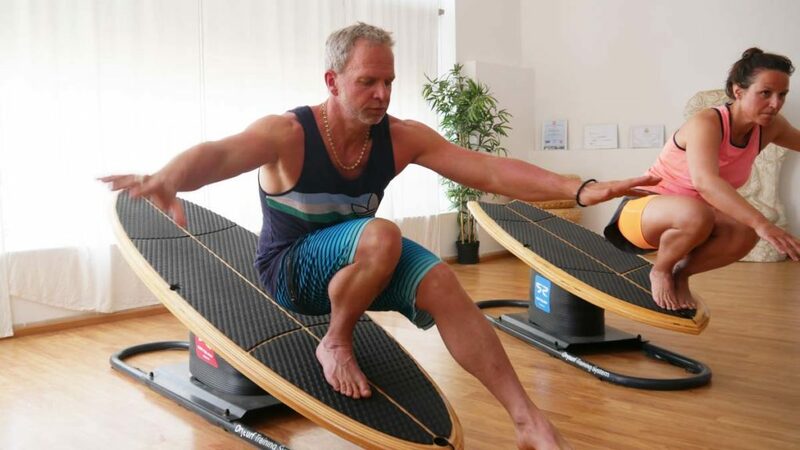 On the flexible board you can practice your takeoffs and maneuvers almost the same way as in the water – but at a rate of 40-60 take-offs per hour. The coach corrects your posture and your movements. Furthermore, you prepare your body for extreme situations: reflexes get internalized and instincts controlled. 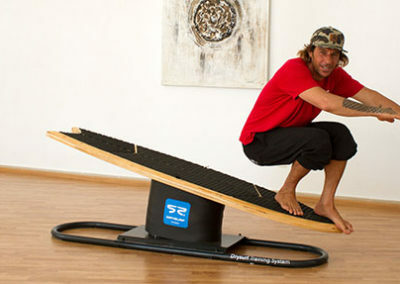 After just one session you will notice how much your feel for surfing and your balance improved. 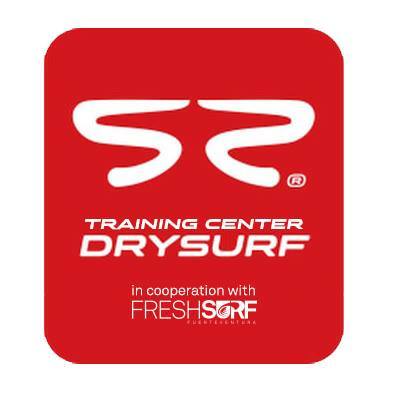 One DrySurf session lasts one hour and includes – besides the functional training – one warm-up and cool-down phase. 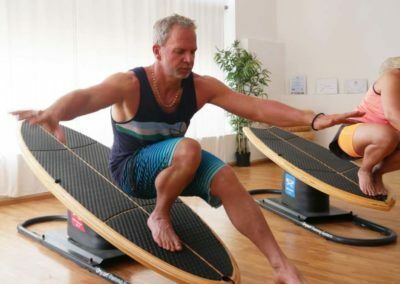 The exact dates are set up weekly in consultation with our instructor Cri – so we can find the right time for you which is not colliding with your surfing plans.